Few days ago, AIT began to air a very interesting documentary titled: The Lion of the Bourdillion. This documentary highlighted the unscrupulous dealings of Senator Bola Tinubu which had always been rumoured in so many circles. The documentary was revealing and it was enthralling, it was an eye opener for many who had never read or heard of these issues in the past. Even for those who had, it was still a chilling autopsy on the grip of one man in the biggest economy of Nigeria. The documentary was quickly followed by a Letter from the Lawyers of Senator Tinubu, which was posted on this blog earlier this week. Interestingly, AIT's response to the threat from Tinubu's lawyers was to air the documentary for a second time all within the 24hrs mandate it had recieved from Tinubu to retract and apologize for its earlier airing of the documentary. Daar Communications Plc has rejected in their entirety the demands of Tunji Abayomi and co on behalf of Bola Tinubu over a documentary titled “Unmasking The Real Tinubu” transmitted on African Independent Television, AIT, according to a publication on its website. The demands, which Mike Ozekhome’s chambers describe as laughable, include the stoppage of further transmission of the alleged defamatory documentary, failure which DAAR Communications will be made to pay Twenty billion Naira representing damages. In its reaction, Mike Ozekhome’s chambers on behalf of DAAR Communications declares that AIT, in transmitting the documentary was only carrying out its constitutional responsibility to uphold the fundamental objectives of the constitution. 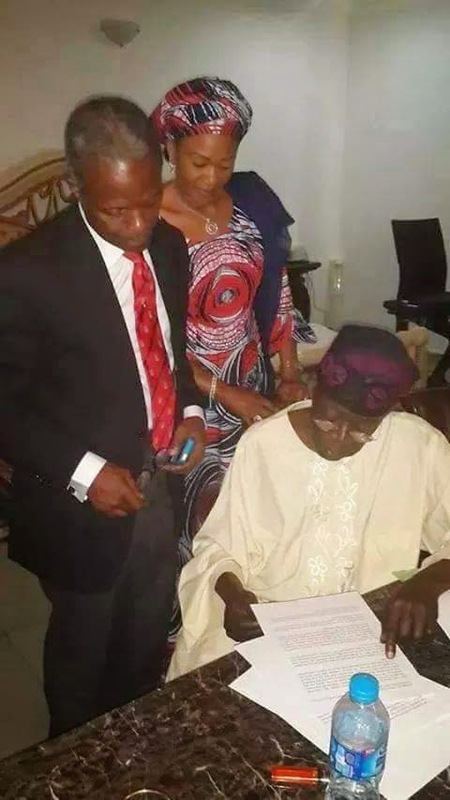 It states further that the documentary merely stated that Bola Tinubu generally breached various portions of the Nigerian constitution.DAAR communications plc is therefore demanding a complete withdrawal of the letter under reference, which must be given wide publicity as that accorded the letter from the chambers of Tunji Abayomi. The media company demands an apology to be published in at least four leading national newspapers and four television stations, which must include NTA, Channels and AIT.